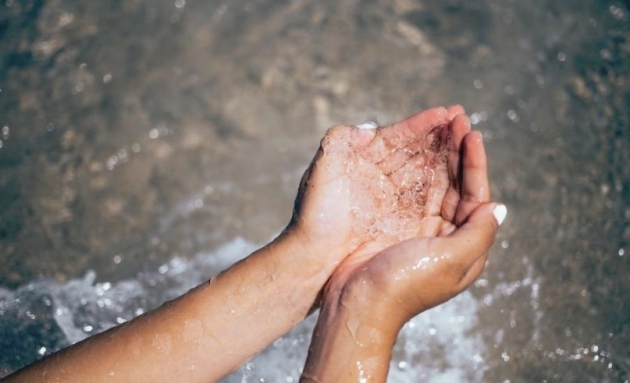 Although well water is generally considered safe to drink, since it is drawn from the ground it often contains contaminants that could pose a potential health risk. The health risks of drinking well water can range from stomach upsets to organ damage. Additionally, well water is not regulated under the 1974 Safe Drinking Water Act, so it is important to have your well water treated with an effective filter. So, here we’ll explore how to choose the best filter for your well water. While your well water may appear clean, bacteria, heavy metals, pesticides, and other contaminants may be lurking, invisible to the naked eye. The best filtration systems are tailored to the specific characteristics of your water. So, it is crucial to get your water tested to check for levels of impurities. Although it is possible to purchase water test kits, a water treatment company will provide a detailed, more thorough analysis. This will help to gain a better understanding of your water, and the technician can provide professional recommendations for the best systems to fit your needs. There are several different options for well water filtration systems that you will need to consider to determine the best one for your home and family. Point of Entry Systems: Point of entry or whole house filtration systems purifies the water supply before it enters the home. This provides treated, clean water throughout the home. So, whether you’re preparing a meal in the kitchen, taking a shower, running the dishwasher or doing laundry, you’ll be using pure, filtered water. This can be beneficial if your water contains contaminants that could pose a health risk when bathing or cause damage to water using appliances and fixtures. Point of Use Systems: Point of use or individual water filters are individually applied to a specific tap in the home. This removes the contaminants from a single use point. The most common application is at the kitchen sink, so you can prepare foods and enjoy drinking water without the risk of ingesting water contaminants. Reverse Osmosis Filters: Reverse Osmosis systems feature a semi permeable membrane to separate the water from 99.9% of contaminants. Most RO systems also include a series of water treatment stages including a water sediment filter, carbon filter, and deionization to not only remove common contaminants, but protect the RO membrane from premature damage. UV Filters: UV filtration systems use intense ultraviolet light exposure to disinfect your water. The well water passes through the UV filter, killing bacteria, viruses, microorganisms, and other microbes to create purified water supplies. Finally, before you make your final purchase decision, you should consult a water treatment professional. An experienced technician can not only help with water testing, but also guide you through the treatment options that are best suited to your specific water quality issues. This will ensure that your chosen system will provide the best possible quality water for your home and family.